Week III of Showplace Spring Spectacular has come to an end, wrapping up the three week series. 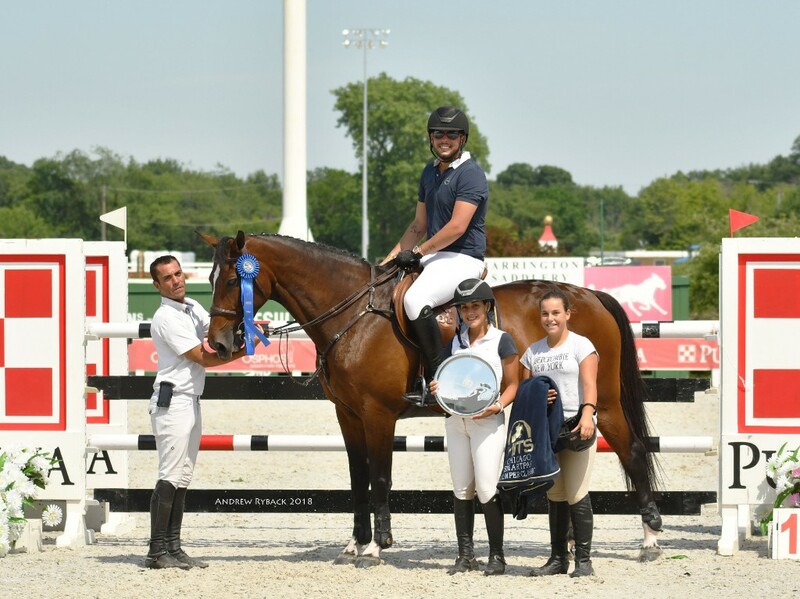 The action is far from over at HITS Chicago, however, as the Showplace Summertime Series is just a week away and brings with it the USHJA Zone 5 & 6 Hunter and Jumper Championships, three more Grand Prix, a USHJA International Hunter Derby, and the Lindsay Maxwell EAP Clinic. David Jennings and TYSON UNO dominated the field on Wednesday in the $5,000 Johnson Horse Transportation Open Welcome after a smooth first round and jump-off time of 37.177. Less than half of a second behind him was Theo Genn aboard POSH, taking second in a jump-off time 37.302. Hannah Bilton was third with ELAN in a jump-off time of 37.760. Fourth was Savannah Talcott and ESPATAKO'S ELECTRA R in a jump-off time of 39.074 and fifth was Lisa Goldman and NIKE in a jump-off time of 39.627. David Jennings aboard TYSON UNO in the $5,000 Johnson Horse Transportation Open Welcome. Lisa Goldman and SOVEREIGN, winning the $50,000 HITS Grand Prix. Thursday, the $10,000 KindredBio Jumper Prix took place once again. This week Emanuel Andrade took the top spot aboard GRAN MAMUT in a jump-off time of 34.808. Andrade also took second aboard ANASTASIA DU PARK in a jump-off time of 36.184, while Gustavo Prato was third with CARNA Z in a jump-off time of 36.267. After winning the $25,000 USHJA International Hunter Derby on Tuesday, Tracy Fenney showed her versatility, placing fourth aboard MTM COMO NO in a jump-off time of 37.218. Fifth was Dorothy Douglas aboard S & L ELITE in a jump-off time of 39.809. The final $50,000 HITS Grand Prix of the three week series took place on Saturday. With no surprise, for the fourth time this year at HITS Chicago, Goldman took home first place aboard SOVEREIGN in a jump-off time of 43.154. Taking both second and fourth place was Genn with COLORA and CHACCAMO 11 in jump-off times of 44.326 and 48.469, respectively. 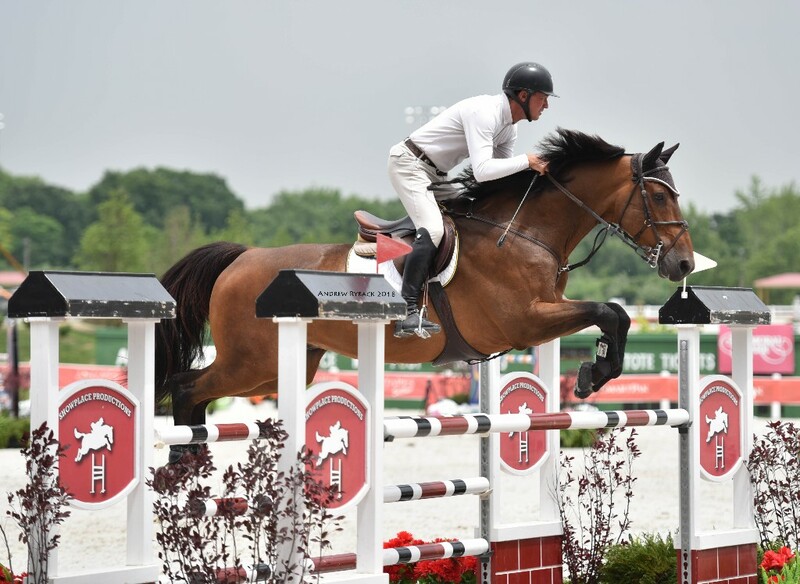 Douglas Boyd was third aboard BERKLEY III in a jump-off time of 44.712 and fifth was Brian Moggre and MTM VIVRE LE REVE with a four-fault jump-off time of 41.651. Emanuel Andrade and BON JOVI, winners of the $10,000 SmartPak Jumper Classic. Wrapping up the week on Sunday, Andrade took another win, this time in the $10,000 SmartPak Jumper Classic aboard BON JOVI in a jump-off time of 32.424. 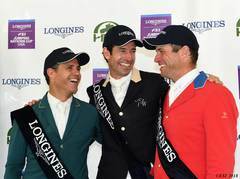 Andrade also acheived second and fourth aboard REUS DE LA NUTRIA and TUPAC VAN DE in a jump-off times of 32.898 and 33.402, respectively. Third place was Bryn Sadler and CEZARRO in a jump-off time of 33.136 and fifth was Goldman and HIT ME VAN'T ZORGVLIET in a jump-off time of 34.472. Join us July 4-22 for three more weeks of Hunter/Jumper competition at HITS Balmoral Park! For more details visit us at hitsshows.com or follow our social media pages for daily news.